These past few weeks, I have been super into baking. 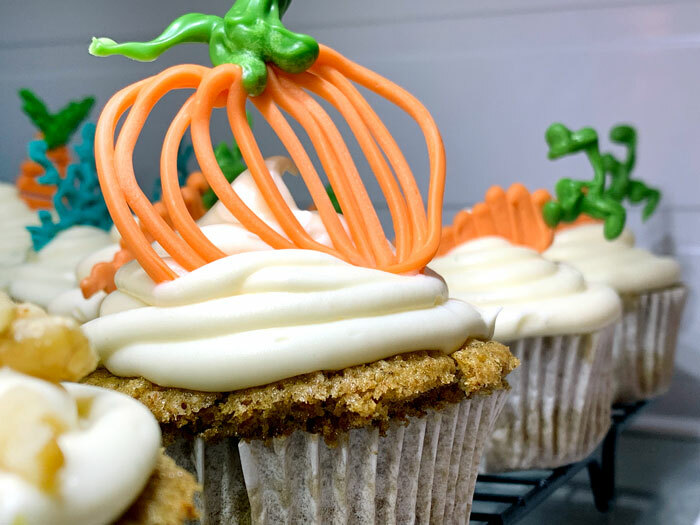 Blame it on the cold weather, but I just cannot resist the urge to get in the cozy, warm kitchen and create something sweet! One thing I love the most about baking (besides EATING said baked goods, of course) is decorating! Mixing frosting colors, piping neat designs, and molding fondant is so artfully satisfying and, to me, a bit cathartic. 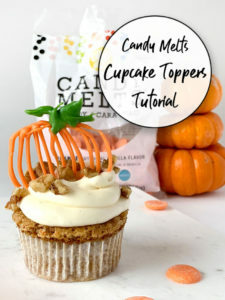 Today I wanted to share my favorite, easy way to add a bit of flair to your desserts: candy-melt cupcake toppers! 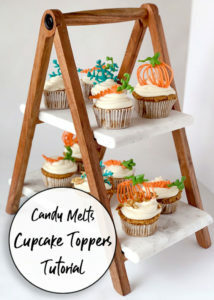 These are SO easy to make, dry quickly, and only require a few materials. Even your kids can get in on the fun! Not to mention, you can make these sweet, decorative bits into virtually any shape, size, and color. 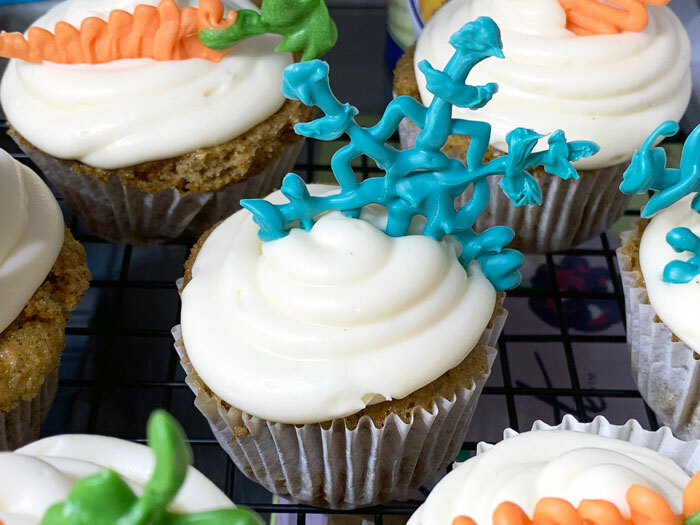 So get ready for your next theme-party, family get-together, or school bake-sale, because these babies are going to be a hit! Finished and frosted cupcakes, cake, or other dessert! First, set-up your work station. Roll out a piece of wax paper and secure the edges down, if neccessary. Then you will slide your template (if you’re using one) underneath the wax paper. As a result, you will be able to trace over the lines of the design, helping each topper keep the same size and shape! 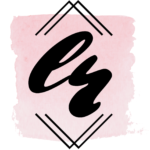 You can use your home computer to print off basically any form, character, logo, or word found online onto a piece of paper and use this as your template! Make sure the design doesn’t have too many small details though, as simpler shapes will be easier to follow. Try searching your keyword, followed by “outline” or “clipart”, i.e. 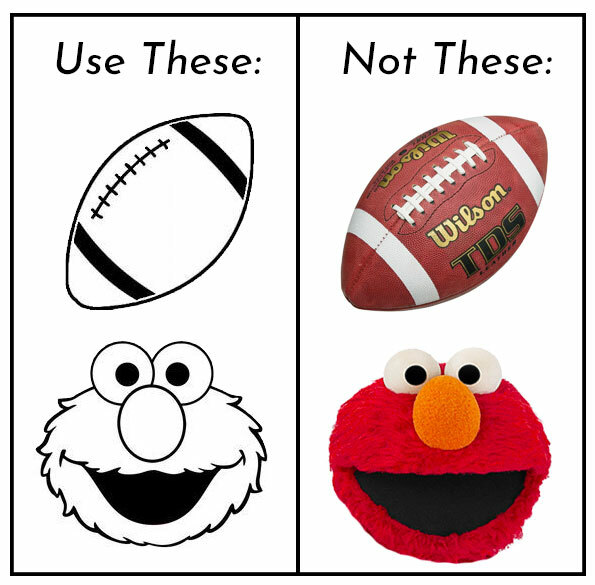 “football clipart” and “Elmo outline”. If you are feeling more artsy and adventurous, you can sketch out a design yourself and use that as the template. Begin with your “base” or predominant color. I wanted carrots and pumpkins, so my base color is orange! Next, heat the candy melts according to the package directions. I microwaved mine in a bowl, stirring a few times in between. Make sure not to overheat the melts, and only warm what you need. Because they start to harden quickly, if you heat all of your colors at once, they may start to solidify in their bowls. However, I was able to use two colors at the same time successfully. If you are using a Drizzle Pouch, you can go ahead and snip off one corner of the bag and start tracing! However, if you melted your candy in a bowl, you need to transfer it into a sealable bag, and cut off a tiny corner. Always start small; you can cut more off later, but you can’t make the opening smaller again! 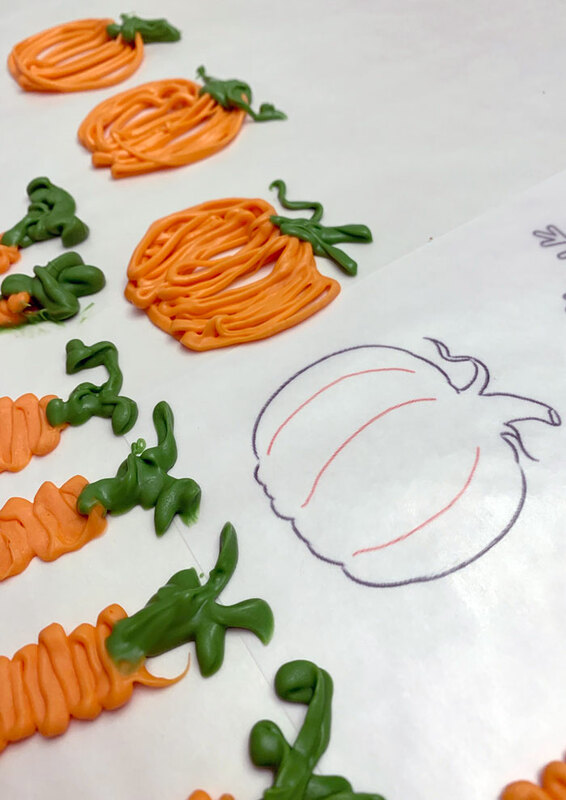 Next, trace over the outline, onto the wax paper, as if you were piping frosting on a cake. 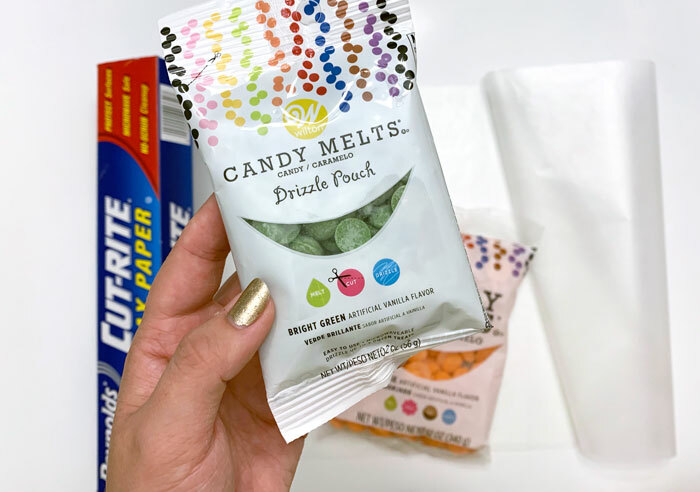 It helps to let the melted candy lightly “fall” onto the surface, rather than dragging the edge of the bag along. Then, simply slide the template to a blank spot on the wax paper to repeat the shape again. 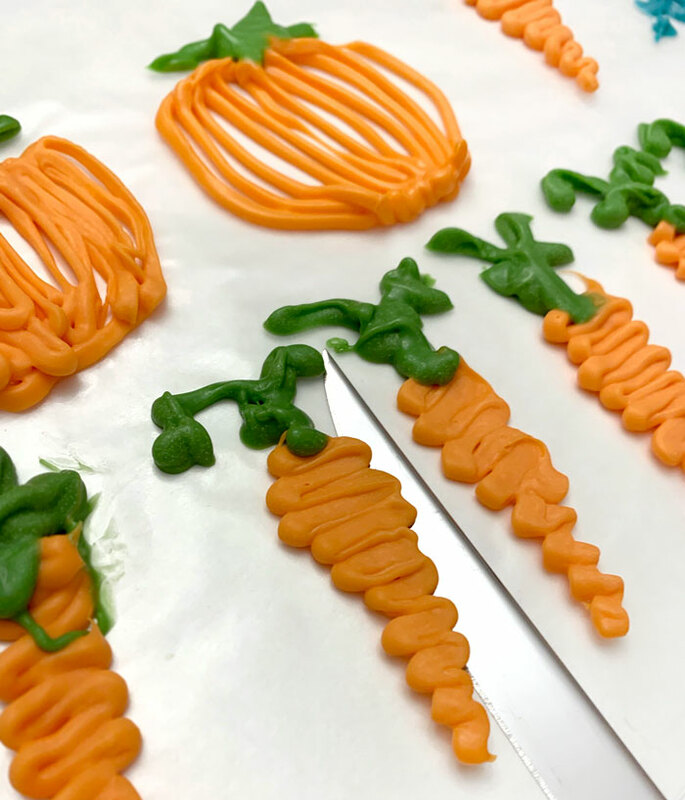 Also, it helps to keep the pieces a little thicker; thin strands of candy will be more delicate, making them prone to breaking. 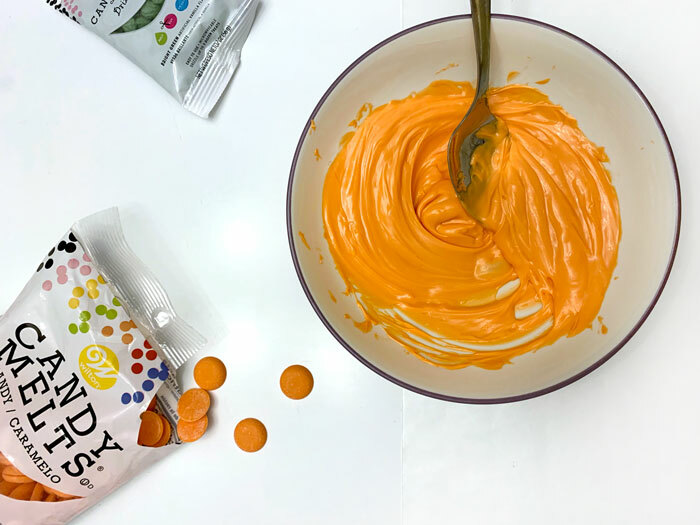 The candy will start drying at room-temperature almost immediately and it will be fully hardened within 15-30 minutes. 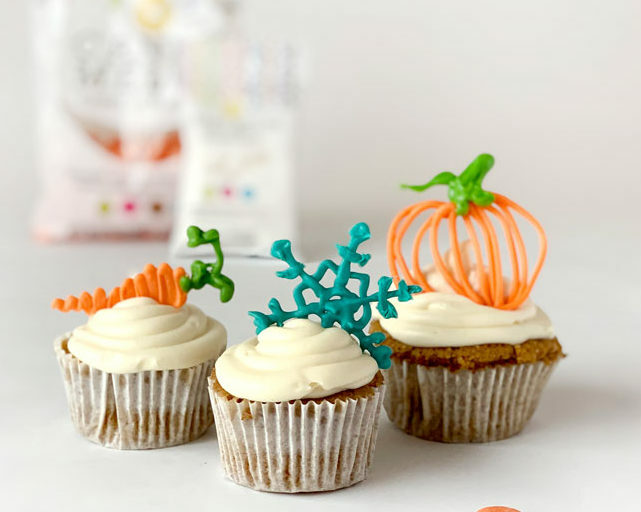 After that time has passed for the last layer of color you added, gently slide the pastry knife under the design to pop it off the wax paper, and carefully place it onto your cupcake! 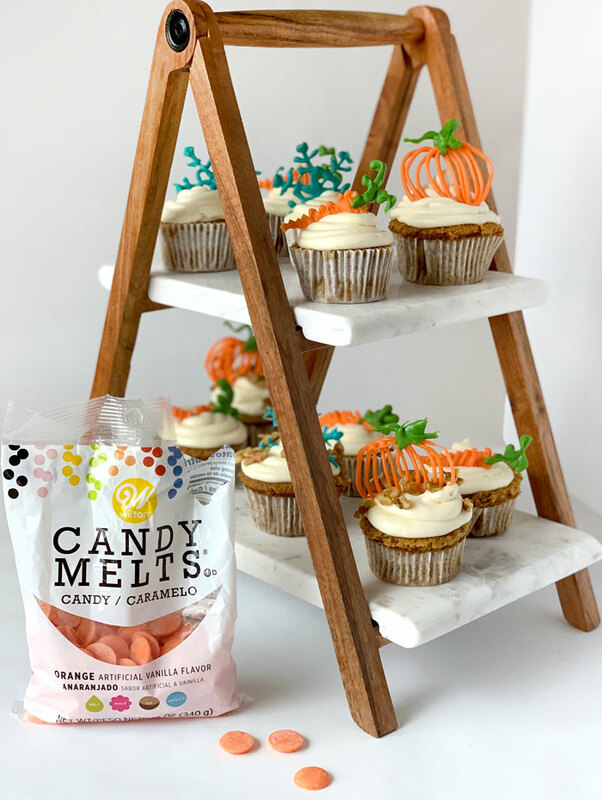 In just a half hour, you’ve taken plain cupcakes from “meh” to *HEART EYES* with a simple, personalized, candy melt cupcake topper. So leave me a comment below if you have any questions, and let me know what design YOU want to try out! 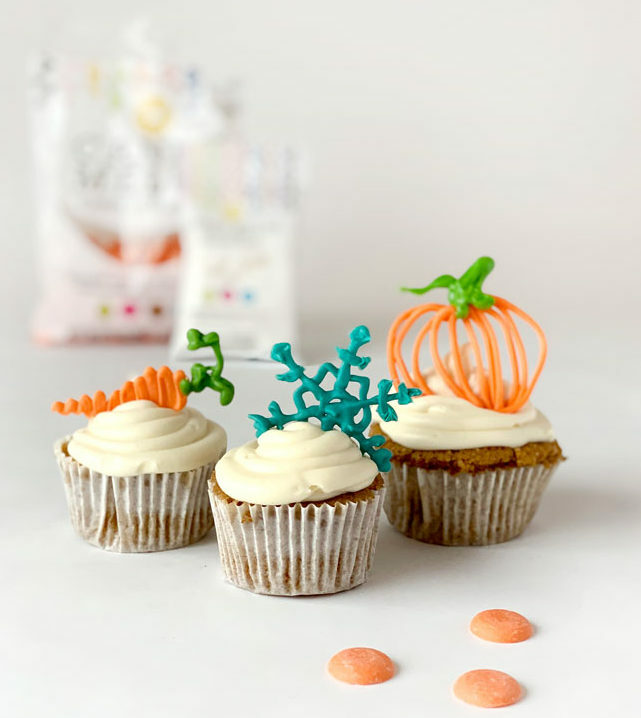 And, if you’re inspired to get baking now, be sure to check out my Mocha Cupcake recipe by clicking here – they’re my favorite cupcakes ever. Oh! Don’t forget to find me on Instagram so we can keep in touch, and enter your email below to receive notification of my next blog post like this! Join our e-mail program and receive new post alerts! P.S. – Forgetful like me? Pin one of these for later! This are amazing…. I love it. I need to practice this! 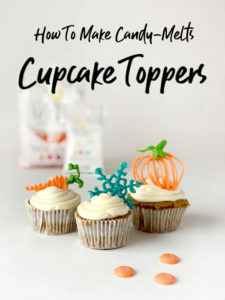 this is such a great idea, my daughter’s second birthday is coming up and I am gathering inspiration, definetely pining this for later, thanks for sharing. These are so cute! 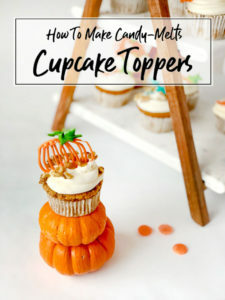 I love how simple they are to make, yet really bring a fun look! Just beautiful! Wow! 🙂 I love this – you are so clever. What gorgeous looking cake toppers. This is so wow… I love this recipe. 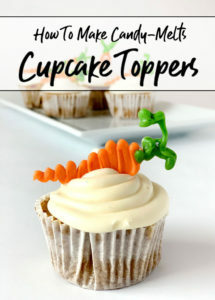 I love cupcakes.im really gonna try them out. Aw yay! Thanks. 🙂 I’m sure they will turn out GREAT! These are really cute! Thanks for sharing such a creative idea. I am going to have to try this! 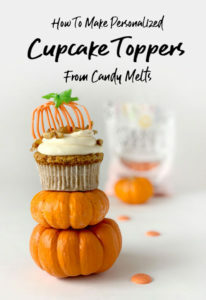 This is something I haven’t tried making yet. Something I really want to do. You make it look easy enough so will follow your instructions and give it a go. OMG you made these look so easy.. I love these never seen anything like it before.